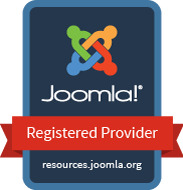 Recognized as Joomla! Registered Provider. We are happy to inform you that JoomSchool International has been recognized and approved as a Joomla! Registered provider. This approval enable our clients to search and verify our profile in the official Joomla Resource Directory. JoomSchool International is a fully registered company in Nigeria, established by a Joomla! enthusiast with a solid academic background. Together with a team of ICT experts, we specialize and focus on Joomla! Training, Website & Software Development, Customized Web solutions, Mobile App Development, Technical Support, ICT Solutions and Consultancy in Kaduna, Nigeria. All our courses are conducted by ICT experts to enhance our clients skills and take their career and businesses to the next level. Our Joomla! training courses includes the Basic, Intermediate and Advance techniques that will enable you to become a Joomla! website designer in record time. We also offer a high quality practical based training to Government Agencies, Business owners, Students, Graduates, Unemployed Youths, Private Companies. With a great after training support, we ensure each session is streamlined to a manageable number so that participant can enjoy the learning experience in our cool, calm, and air conditioned environment.